The first series of Jinsy was excellent. With a quality cast including Harry Hill, David Tenant, Jennifer Saunders and Peter Serafinowicz. Terry Hint puts budgies in his pasties. Now it’s time for Sandy’s Choice, A talent competition, judged by a dog. I’m Mr Slightlyman – the master of balls. Warnings from the melt office. Ouch, with the occasional ooh, arghh. Keep your blasphemous remarks to yourself Sporral. Especially under the watchful eye of the permed owl of Veronica. 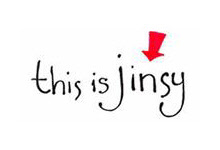 Residents of Jinsy stand by your tessalators, now is the time to sing, sing, sing! The leaning pipes of Peter. Pipes! That’s why I always eat toast with my elbows. Smug shoes sir. They change colour depending on how happy you are. (song) I made a cake of your face, it didn’t take me long to bake, raisins for your eyeballs, icing on your pimples. Face cake! Face cake! Face cake! He is a human turd. Your face! Did you fall in a fire? Terrible conditions for the fun fungus walk, setting off from Bobs mold hut. I heard the crys…but I just thought it was the voices in my head. These are just some of the funny lines we can remember. Know of others? Add them in the section below. Missed the first series? It is available to buy now on DVD. The show is also expected to be back for a second season so watch out for that! you have missed The Great He! jinsy praise him! Sir! You look like a melted fox!